There are many advantages and disadvantages when buying a used car. It is always important to choose the right dealership or know more about the product, before you put your hard earned cash on the line. Before we discuss a few helpful tips, it’s always suggested that you bring a friend or family member that is knowledgeable in cars. They will usually be able to spot any noticeable problems or issues with the car, and can help answer your questions. You can always negotiate the price of the vehicle, since it is used. A good tip here, would be to check the amount of miles on the car, and how many times the vehicle exchanged owners. You’ll get a much better idea on the actual value of the car, and then you can begin the negotiations. Here are a few helpful tips that you can follow before purchasing a good used car. •	Don’t Buy the First Car You See! – You may be tempted to buy the first SUV or sedan that’s presented to you, but take your time here. Have a good look around the dealership, ask many questions related to the vehicle of your choice, and most importantly, shop around. You can compare prices through many sites on the internet, and can save you time and money in the process. Take your time with this, because after all, that used car is going to be your new one. •	Check The Small and Visible Details – A lot of people get suckered into buying a used car, without even having a closer look and inspection for themselves. You should always take your time when checking out the details of the car. How many miles are on the odometer? How many users have driven this car before? Has the vehicle been in any kind of an accident? These are all serious questions you should ask the dealer. If the dealer can’t answer these questions properly, just walk away. •	Take the Car to a Mechanic – This is without a doubt, one of the most important steps you need to take before purchasing any vehicle. It will be the best investment you’ve ever spent. If the car gets a clean bill of health from the mechanic, then the car is safe to drive. At this point, you’re most likely and inclined to make a buying decision. As for the mechanic, make sure they are an honest and reliable company. Always ask around, and make sure they can provide you with the right credentials or references if asked. •	Call the Former Owner of the Car – This step usually accompanies the previous step of taking your car into a mechanic. Again, at this point, you’re ready to make a buying decision, and need to be 100% sure before putting any money down. Ask the dealer for the contact number of the previous owner. Make sure to pay attention for any details, such as if the car has been in any kind of accident or had previous engine problems. You should always feel comfortable with the dealer in any case. Since you now have all the basic tips you need to buy a car, you will need to have the number of a trustworthy towing company. Delta Towing is the #1 choice in towing and services, and work 24/7. 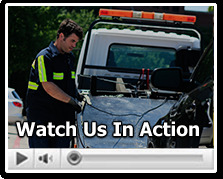 Get in touch with us today, and find out about our emergency roadside services.